Add a fresh look to your home when you shop at our showroom for tile flooring in Houston, TX. At Flaherty’s Flooring America, we carry a complete collection of products that make any area stand out for the right reasons. From mosaic and porcelain to ceramic tile, our inventory includes endless options for any home. Whether you are looking for something for your kitchen, bathroom, or another area, you are sure to find something perfect at our store. Visit us to explore your color and style options. Homeowners have enough things to worry about on a daily basis without stressing over keeping their flooring clean and tidy. 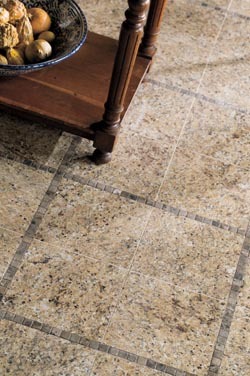 Ceramic tile offers natural beauty without the need for heavy maintenance. This spill-resistant flooring material has the strength to withstand wear and tear. Does your home feature children, pets, or other sources of foot traffic? Make the right investment in your space by working with us for a ceramic tile installation. Our selection lets you create a stunning look that lasts for years to come. Are you ready for a new style throughout your home? Make the right change when you shop at our flooring store for our products. Tile is a popular type of flooring for every room in a home due to its natural beauty and strength. By choosing porcelain tile for your space, you will create a bold look that withstands scratches, scuffs, and other types of damage. Dreaming of a standout look for your home? From kitchens to bathrooms, mosaic tile makes the perfect addition to any room. This material features a non-porous texture, giving them added resistance to mold and mildew. Because they withstand moisture-related damage, they are a great choice in any wet areas, including pools. Create the perfect look for your home by choosing mosaic tile. These tiles are available in endless colors and patterns, and they can be used for everything from wall murals to stylish floors. Our flooring professionals are happy to inspire you with examples of designs. Complete your remodel with ease when you work with our professionals for your tile installation. Our experienced team is available to perform installation services in spaces of all sizes. Turn to us for the top service options and prevent the need for avoidable repairs in the future. Contact us at (281) 297-8144 to discover more on our tile floor options. Our showroom features products for customers throughout the Northwest Houston area.